Boulevard Chauffeur is proud to offer our premium luxury limo services to our friends in the Tarrytown area of Austin. For the highest quality limo service in Tarrytown, Boulevard is here to help. We offer a fleet of modern luxury cars, professional chauffeurs, and a focus on complete and total customer satisfaction. Whether you are traveling for business or pleasure, our drivers will ensure that your transportation is taken care of to the smallest detail. When you ride with Boulevard, you are riding with a team who knows Austin and can guarantee you a relaxing journey. After our driver arrives all you need to do is sit back, relax, and enjoy the ride in one of our beautiful cars. 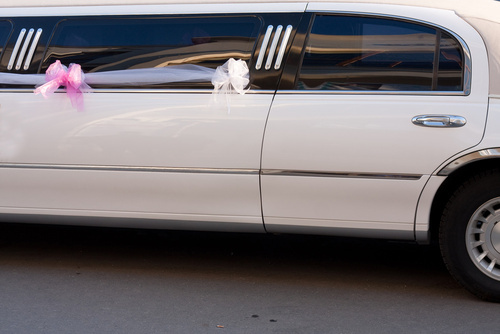 We handle everything allowing you to get to your destination relaxed and ready for your event. Use the time to prepare for business meetings or conventions, sightsee around Austin, or celebrate your special day. Your transportation needs will be handled by our team of experts. Cheer on the home team, get ready for a big speech, prep for a business meeting, or even get ready to rub elbows with the celebrities at SXSW. Our chauffeurs can get you where you want to be in style. Let us pick you up in one of our modern luxury cars and deliver you stress-free to your business or personal events. Austin Favorites: SXSW, ACL, F1, the Film Festival, and more. Boulevard Chauffeur was founded by a professional chauffeur with years of luxury transportation experience. Locally owned and operated, Boulevard is in Austin to ensure that locals and visitors alike are treated to the same high quality luxury transportation that is available in major cities around the world. Every driver on the Boulevard team is highly experienced and focused on providing the best levels of personal service. From the moment they arrive their only focus is on giving you the ride you deserve.